Released twenty years ago today was Flood, the third album by They Might Be Giants, then an offbeat alternative pop group, now, from what I understand, a band making children's records. At 19 tracks and 43 minutes, it's perhaps the most well known TMBG album. The band was certainly in my consciousness in 1990, with song's like "Birdhouse in Your Soul" (the album's first single), "Istanbul (Not Constantinople)," "Particle Man," and a favorite of mine, "Dead." The album holds up well two decades later, due both to its quality and place in my memory. It's always fun to revisit original record reviews, particularly when an album later become popular or garnered a cult following. So what was said at the time? 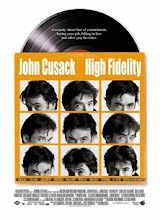 Twenty years ago, Chris Willman of The Los Angeles Times described the album as "quite like the iconoclastic, independent gems that preceded it, full of socio-romantic musings disguised as absurdist, minimalist, Dada demo-rock, not to mention ample, accordion-accompanied power pop helpings of humorously opaque symbolism . . . sorta like Joseph Campbell meets Weird Al Yankovic," ultimately concluding that "[p]ublic radio programmers, repentant intellectuals and very small children should all love it. "1 (Based on his verbiage, we must assume that Willman received his student loan statement that day and reminded himself he needed to justify having spent all of that money on liberal arts courses. That, or he consciously disregarded Ferris Bueller's advice that a person shouldn't believe in an -ism but instead should believe in himself.). 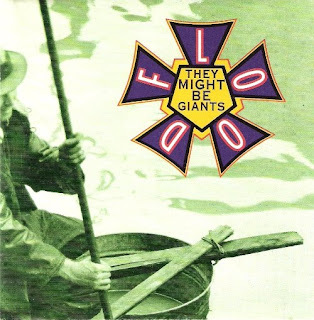 Musicians who are smart enough to know better still put out albums like "Flood" by They Might Be Giants, the duo of John Flansburgh and John Linnell. Its 19 songs and fragments riffle through so many styles and pile up so many non sequiturs - or are they? - that it could well overload ordinary pop-music receptors. It's mentally hyperactive and proud of it. They Might Be Giants crack jokes in "Istanbul (Not Constantinople)," get serious in "Your Racist Friend," envision a population explosion in "Women & Men" and free associate elsewhere about terminated romances, human duplicity and cosmogony; they pour out catchy tunes but switch arranging gambits in mid-song, lurching from currently hip styles like organ-driven garage-rock to the corniest movie music. After working too hard to prove they weren't just zanies on their previous album, "Lincoln," They Might Be Giants shrug off most typecasting - emotional, musical, rhetorical - on "Flood"; they flaunt their multiplicity. And they're bound to draw flak for packing too much into their songs, for revealing that they're clever in too many ways at once. Ouch. (Although was Pareles suggesting that ordinary listeners could not process the craziness of TMBG, but that he, as a critic, could humbly do so on behalf of the less sophisticated record buying public?) One wonders what these particular writers would say if they were given a second chance to review the album two decades later. Equipped with the knowledge that many of its songs became a part of the soundtrack of the lives of many young Generation Xers, would they offer more positive - or more straightforward - assessments? Would they be influenced by all this later acquired knowledge? Or would they stick to their guns?
. . . sacrificed any of the loopy humor and herky-jerky sound that charmed fans of their two previous indie-label LPs. 1 Willman, Chris. "They Might Be Giants "Flood." The Los Angeles Times, January 28, 1990. 2. Pareles, Jon. "Pop View; Mentally Hyperactive and Proud Of It," The New York Times, January 28, 1990. 3. Rogers, Forrest. "Reviews Records Pop," Atlanta Journal and Constitution, January 27, 1990.